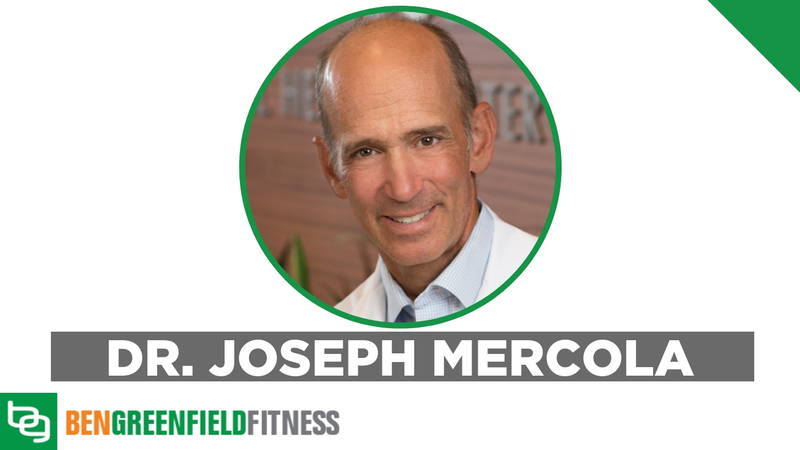 Dr. Joseph Mercola, my friend, multiple-time podcast guest, guy who thinks way outside-the-box and seems to always be discovering some new cutting-edge way to enhance human health and longevity, and one of the world's foremost authorities on alternative health, has just written a guide to using the principles of ketogenic eating, meal planning, and timing to treat disease, promote weight loss, and optimize health. It's one of the best ways to express care for your spirit, especially when combined with meditation, gratitude, solitude, etc. –Trusii: Contains a host of anti-inflammatory, anti-obesity, and anti-allergy benefits. For this reason, I have decided to now make consumption of hydrogen-rich water an important part of my daily nutritional routine…and I highly recommend it! Enter code: BEN at checkout and get 30% off your order! –Clearlight Saunas: You can be sure that I researched all the saunas before I bought mine and Clearlight was the one that stood out from all the rest because of their EMF and ELF Shielding and their Lifetime Warranty. Use discount code: BENGREENFIELD to get $500 off your sauna and a free bonus gift! –FitVine Wine: Don’t let the word “less” fool you – FitVine wines offer rich flavor profiles and the alcohol content (13.4 – 13.9% alcohol) you’d expect from a fine wine. Use discount code: GREENFIELD10 for 10% off your order. Thanks again for all you are doing in this world of health, longevity and fitness! I’m 110 lbs and probably 16% body fat. I thought with keto, I should be eating 72 g of protein per day. But the above article almost seems like I should be even closer to 60? Is that right? And are you saying, I should be even lower on non strength training days or just on fasting days with cyclical protein? Do you strain the autophagy tea or simply stir and drink? I usually don't strain and blend it together. Any thoughts on this recent article that says cheat days on keto-diets may increase blood vessel injuries. Participants size is small though. If so, will regular dosing of vitamin c counter this risk. In this episode you say that Leucine is a BCAA and should be avoided during a fast but I use your Kion Essential Amino Acids and it says Leucine is one of the Essentials. So does that mean don’t take your Essentials during a fast? There are a couple very key differences… The BCAAs without the presence of the other EAAs does not get well absorbed/utilized by the muscle for protein synthesis, and is effectively burned as fuel in the form of carbs (and spiking blood glucose)… Kion Aminos do indeed contain Leucine (a very important amino acid for building muscle), but it is at an amount that won't cause spike blood glucose and is in presence of the other EAAs, meaning it is actually well-absorbed/utilized by the muscles. I ordered the items for the autophagy tea but in the recipe there was no mention of how much water to add and is the recipe for one serving? Thank you for all the health hacks….keep up the amazing goodness. Hydroxycitric acid, extracted from the dried fruit rind of Garcinia cambogia, has been demonstrated to inhibit de novo fatty acid synthesis, promote fat oxidation and decrease appetite. The depletion of nucleo-cytosolic acetyl-CoA activates AMPK and inhibits the mechanistic target of rapamycin (MTOR) complex I (MTORCI), hence arresting anabolic reactions and stimulating autophagy. Galluzzi L. Pietrocola F. Bravo-San Pedro J.M. Amaravadi R.K. Baehrecke E.H. Cecconi F. Codogno P.
I have a question about the linked HCA/Garcinia Cambogia: I bought the linked brand without looking at the ingredients. When I got i found it had maltodextrin. Is this the variety you would buy? Is maltodextrin safe? Do you have any discount for the SaunaSpace?? And which one is best… SaunaSpace or Clearlight Sauna?? I don't personally use SaunaSpace, but trust Dr Mercola's recommendation. I have a Clearlight Sanctuary and love it. It has EMF mitigation, gets nice and hot, has a cool sound system (if that's your thing) and the model I have is large enough to do yoga/stretching… which takes it next level. I have ordered my near infrared SaunaSpace!! Would you ever consider doing a round table with different professionals. You produce alot of content and it seems like good content. Im a novice in this world at best and don’t have alot of time and money to invest in products or reading articles on pub med (teacher and father of 2 boys) But so much information is being thrown at me from these podcasts its hard for me to dig into one area. The guest you had at your house that discussed the carnivore diet had a really compelling argument from his point of view. I even heard him put down some of Mercola’s ideas especially regarding the Autopaghy tea. Dr. Merola comes on days later and presents his ideas which contradict the Dr. thats into the carnivore diet. It makes my head spin. Would love for them to sit down and go back and forth agree or disagree. I am also interested in buying a sauna or building one. I went to Dr. wilsons site based off of Dr. Mercola’s recommendation. Dr. Wilson to me recommends making your own sauna with materials to me sound awful-PVC pipes, polyester fleece, paint cloth from home depot, crappy lights, cutting cords and splicing. wouldn’t this just create awful off gassing chamber? It's a cool idea… While it may seem overwhelming trying to figure out who's way is best, I think it's important to note that no diet is perfect for everyone. The very thing that works for one person could cause an autoimmune response in another. That's why I try to feature guests that offer unique perspective, even if some of it may seem contradictory to other guests ideas. Does having MCT oil in your coffee or bulletproof coffee break apothogy fasting? Thanks Ben. Hi Ben and Dr. Mercola! Great podcast once again! Are you guys aware if there’s a way to test our NAD+ levels in the body to see which supplements and/or protocols really moves the needle and which doesn’t? I’ve been looking on google and it doesn’t seem to have much information on testing NAD+ levels… or I’m not looking at the right place. Can it be done via a simple blood test or it is more complex than that? Thanks for your input on that and looking forward for your next podcast together! Telomere length and inflammation would probably be the top two. Can you comment on the potential liver toxicity of Pau d’ Arco? I seem to have read that when consumed over the long term you can run into liver issues. Is this a non issue and how frequently do you recommend drinking this tea? Take it every night or cycle of at times as well? I have not seen that, but feel free to fwd research and I will take a look. Often the dosage is important to pay attention to. I had never heard the comment about butyrate blocking autophagy. I have been doing IF but with some butter during the fasting period (in my coffee). Would you advise against that in order to get the maximum autophagy benefits? Grass fed butter is not going to be especially insulinogenic and won't knock you out of Ketosis. But, yes, technically the butter will break your fast and may diminish some of the autophagy. When supplemented to starved cells, the short-chain fatty acid butyrate, which can be catabolized to AcCoA, maintained high cytosolic AcCoA, increased protein acetylation, and inhibited autophagy. Dr. Mercola always picks up on Volter Longo’s accent! It is not nice after all. Dr. Mercola should appreciate his fellow Italian for his achievements and not to pick on something insignificant as pronunciation of some words. Interesting, Dr. Mercola never says anything about S. Panda that has the strongest accent of all to the point that in order to understand him you need to read subtitles( Ronda’s podcast) or Ben’s written subscript. The ice cream sounds awesome! Do you have recipes for it? Combine Dr Mercola's Autophagy Tea ingredients (listed in shownotes) with cacao and six egg yolks, a can of coconut milk, a little bit of collagen for the joints, add a little extra sweetener in that. Blend that and then put it in the freezer in a stainless steel bowl overnight. He mentioned that Hydrogen Peroxide is BAD – what if you have a doc that wants to do IV Hydrogen Peroxide to get rid of a massive panel of IgG Viruses in an attempt to help with autoimmune disease? That is different. We are talking about oxidized peroxyl radicals in the body. Hey Ben, around the 29 minute mark you bring up that H.I.I.T. in very short spurts could be effective while in a lightly fasted state. Is this one of those times where you fast from dinner till lunch around 1130 the next day and not eat again till after my workout around 1630? At which case I do the H.I.I.T. before the weights and also what would you recommend for the H.I I.T.? A question about Dr Mercola’s proposed eating/fasting protocol. I can understand how it would help address compliance and reduce burden on detox pathways. The part that puzzles me is that I’m pretty sure Valter says that autophagy doesn’t really pick up until day 4 of FMD, therefore it would seem this protocol would negatively impact autophagy. Any thoughts resolving this apparent discrepancy? According to Dr Satchin Panda, mild autophagy begins around 12 hours fasted. Obviously you would get more and more as time went along… However, its the ketotic and low calorie nature of the refeed as your body will remain in ketosis, down-regulate mTor, etc. despite technically breaking the fast, while delivering nutrients to help stimulate recovery. I do the same thing as you do with the ice cream but I make a whipped cream with coconut cream and put all my powders in it and then put in my coffee as my treat. I do same with whipping cream on the days I do dairy. Is black coffee still ok to drink on fasting days? Yes, it will not spike insulin/kick you out of ketosis and caffeine helps with brown fat mobilization. Hi, this may be a really stupid question but I feel compelled to ask anyway. Is water the best liquid to use when mixing all of the ingredients from the “autogaphy tea”? Does one drink the tea right before bed? IF so, isn’t that breaking the fast? Also, does Mercola recommend a 24 hour fast 1-2x/week? If so, would one take aminos or other supplements during that time? Intermittent Fast daily (12-18 hrs approx) then do the Keto Fast 2x's/wk. The tea can be the last thing you consume before starting your nightly fast. The Aminos would make a great vegan protein source during the low calorie fasting days. How do I get 300-500 calories from protein and not get BCCs? – Store bought bone broth would have BCCs, but I guess the ratios make it okay? – Collagen? And the point of the collagen is to help with detox not to stave off muscle loss should I also be training. – Home made bone broth is hard to figure the macros and calories of. My chicken broth always has fat in it. – Essential aminos – this could be like 150g of aminos. That’s a lot, no? Bone Broth most prominently features the amino acids arginine, glycine, proline and glutamine, and has negligible BCAAs. Essential Amino Acids with relatively low amounts of BCAAs are also acceptable. How do you get 500 calories from Bone broth? I wasn't suggesting that be the only source, just giving an example… You can also use collagen protein, vegan based protein (like pea protein), Essential Amino Acids (though not calorically dense)… Also Dr Mercola said primarily protein, so some healthy fats and non-insulinogenic plants should be fine too. Jason Fung says protein breaks your fast and stops autophagy cold. This is a bigger issue if you're consuming animal-based protein, as it's higher in BCAAs. In large amounts they can create an insulinogenic response which mitigates the benefits of fast/ketosis. Dr Fung mainly advocates for complete calorie restriction fasting, but if you are going to consume something, you would again want to opt for something non-insulinogenic like C8 oil, grassfed butter/ghee, etc. You said you are not taking nicotinamide riboside anymore. So you are officially off the NR bandwagon? Reason being? I know he has made the podcast rounds, but it would be great for you to interview Dr. Sinclair to discuss NMN and NAD. Weight loss… This is always touted as a good thing. Like when he says every time I do this this I lose 3-5 lbs. Many of us want to be healthy and take advantage of these benifits but don’t really have any weight to lose. Can we get a segment on how to do some of these things without losing weight? Like if I’m on a 2500 calorie diet just to maintain 135 what are some methods I could employ? 4k calories on refeed days? I can’t imagine that’s healthy and I have to think that many of your listeners are like me, already fit, already highly active, hard gainers as it is that can’t sustain weight loss. Are there any resources you can point to for us? Not all strategies are best for all people. Yes you would want a bigger refeed the other days. Intermittent Fasting (approx 12-18hrs) still has great benefits for autophagy, insulin regulation, etc. and could be more sustainable for you. Is the transcript for this available? Ben, you need to move on from this topic. Do you have any evidence that the MTOR pathway has detrimental effects in humans? Or that a ketogenic diet is beneficial for longevity? It seems the same circle of health bloggers which appear in the “do not trust” lists keep prattling on about insulin, autophagy, ketosis, sugar, “type 3 diabetes” and fasting; based purely on mechanistic data combined with speculation. These 2 have both gone completely off the deep end in regards to credibility and evidence-based recommendations. Who gets to make those lists, though? And why do plant-based/vegan docs never make those lists–even though they do plenty of cherry-picking (see “What the Health” for example). There’s plenty of evidence that fasting and calorie reduction are beneficial. Mercola is giving his own version which may or may not be one of the better ones. He’s not one of my favorites, BTW. He pushes too many supplements and has a few weird ideas. But that doesn’t mean he’s wrong about everything. Rather than going by your gut feelings why don’t you invest a few hours or even better a few hundred hours like many of us have and review the appropriate Pub Med literature. Strongly suspect you will be singing a different tune.